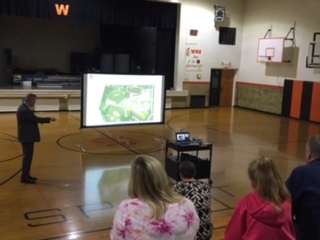 We had a successful turnout from interested community members last night in the elementary gym for the Facilities Plan Forum. Superintendent Pat Dubbs and Treasurer Ron James were there to present facilities conceptual designs and answer questions regarding the Bond Issue 19. THERE WILL BE A BOND ISSUE FORUM ON THURSDAY, OCTOBER 5TH AT 7:00 P.M. IN THE ELEMENTARY GYM. ALL COMMUNITY MEMBERS ARE WELCOME TO ATTEND. MR. DUBBS, SUPERINTENDENT, WILL PRESENT OUR FACILITIES PLAN AND ANSWER YOUR QUESTIONS.